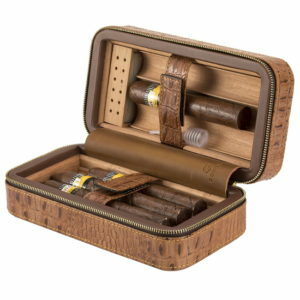 Here’s a really cool and classy travel humidor that holds 6 cigars securely. I’ve never seen one quite as nice as this one. 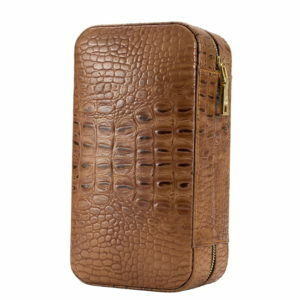 It’s the XIFEI Crocodile Grain Travel Humidor. Very nice crocodile grain material. Very classy and rich looking but it’s not expensive. It only looks expensive. The inside is even nicer. 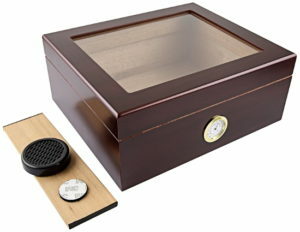 This looks like a $400 travel humidor. 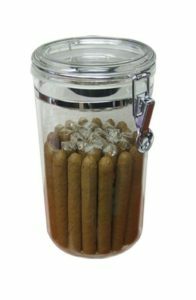 It holds 6 cigars and will keep them fresh while you travel. Crocodile skin texture is all hand-made cutting and sewing. Great for highlighting your exalted status in a public place like a cigar lounge or club. The high-end zipper could ensure over 20k opening/closing cycles, as was proven in tests. 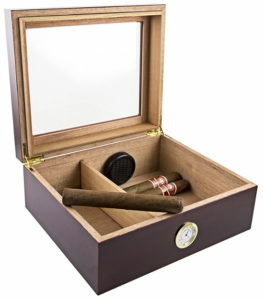 The cedar lining provides the natural fragrance of cedar once you open the cigar box. Cedar absorbs moisture and air preventing cigar damage from cigar beetles. 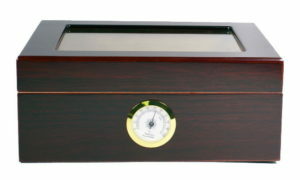 6 cigars can be stored in the cigar travel box equipped with a humidifier. The integrated design ensures it is classy and compact. 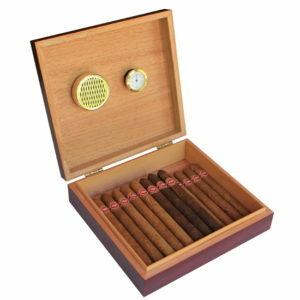 This is an exclusive choice for cigar holders and travelers.